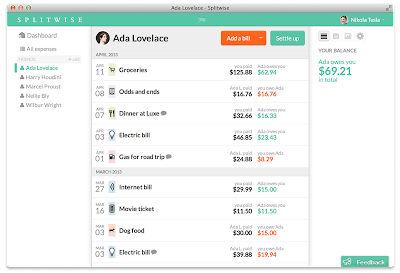 but after I found this app it has been very easy to manage and share expenses with my friends, be it a dinner party or a weekend vacation or Monthly expenses. Splitwise has almost the same user interface in the android and iOS which makes it easier to use and understand as well. 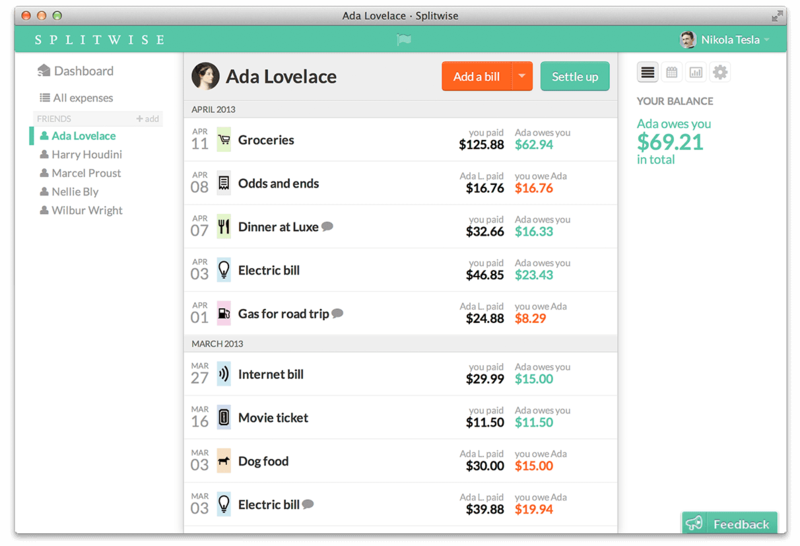 The interface is neat and it takes all the trouble out of sharing expenses, splitting bills - with friends, with roommates and with anyone. It does all the calculations and divides any amount equally with 'n' number of people or just divides the bill between any three friends. It doesn’t need every member in house or group to sign up. 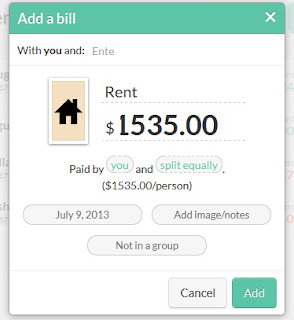 It allows you to create Groups for example a group for vacation trip, a party, Apartment Monthly Expenses etc. When a person is due some amount, even sends a courtesy email reminder for the amount you owe to another person. 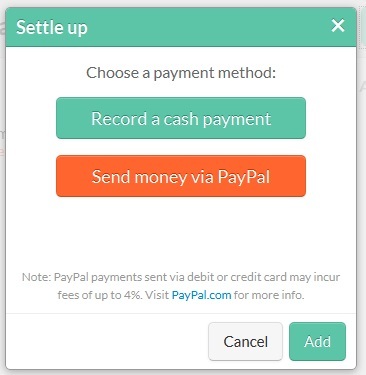 And at the end of the day you want to settle payments you can just transfer money through your paypal account from within splitwise. 1. It is availibile in multiple platforms, Andrios, iOS, Windows Phone and web app. 2. Allows to upload a copy of the recipt. 3. 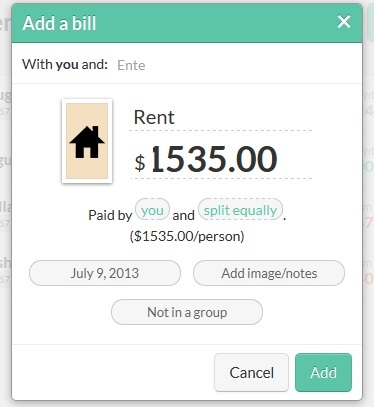 Can split the expenses between any number of people.